On The Media segment on Virginia Tech massacre. We were all actors in a drama. Seattle P-I: The end of a blogging era may be near. Yogi Berra: "We're lost. But we are making good time." Surprised that my review of last week's Sopranos is in the first page of results for Sopranos on Google. Moveon taking cheap shots at McCain? Amyloo chimes in on liberals not stooping to the ridiculously low level of Republican politics. One thing I'm not clear on is if Moveon.org is taking cheap shots at McCain for his gaffe about bombing Iran (which was insensitive, btw, to the Iranians who would die and the Americans who would risk their lives to drop the bombs). If Moveon is doing this, can I have a pointer? The reason I ask is that the founders of Moveon are neighbors, and this is something we can do something about, unlike most of the misery of the world, we can help make this one better. And I'm willing to seek out Joan and Wes to express our displeasure. Postscript: Yes, they are taking advantage of McCain's mistake. Here's a copy of the email they're sending. They lose me when they do stuff like this. I'm not voting out one set of unprincipled losers to replace them with another. Any time Anthony Hopkins stars in a murder mystery that gets reasonably decent reviews, I'm all over it. Fracture sure isn't Silence of the Lambs, it's nowhere near as intellectually challenging, we figured it out an hour before the other main character did, but it's still a good movie, with Hopkins in great form, even if it's just a hint of the depraved cannibal that lives inside him. I gave it a B- on Yahoo. I'm seeing reports on people's blogs that they can't get yesterday's Twitter connection working. In many cases the problem is that they haven't updated to the new release process. The instructions are here. If that doesn't do it for you, post a message on one of the mail lists where people can help. I added a prefs panel for Twitter support in the OPML Editor. This replaces step 3 in yesterday's instructions, you don't have to go looking for user.twitter.prefs in the object database, this panel takes care of that. To get the panel, choose Update opml.root in the File menu. Here's a link to the prefs panel. You must have the OPML Editor running on your system for that link to work. The OPML Editor has a built-in web server for applications like this. Makes it easy to configure apps in a web browser. Almost everyone in the comments missed the point of the naked car guy in the YouTube video, they commented on the quality of the ad, which is something everyone can have an opinion on, but that wasn't the point. Their gesture was significant even if no one was informed or entertained by it, it had the courage to say this is something you want to watch even if you don't have to. Read the part in italics, read it carefully before you post a comment saying the quality is too low. The point is that the age of intrusive commercialism is fading, and replacing it is opt-in commercials. Commercial information you seek out because you're buying a car or refrigerator, planning a trip, need to get new shoes, or need surgery or to be represented in a lawsuit. We are all seeking commercial information all the time, and guess where we go to find it these days -- the Internet -- of course! Imho, in five years, there will be so many commercial videos on YouTube and it will seem so much a part of life, everyone will say it was always totally obvious, but remember the day (today!) when you didn't think so. Commercial information will be opt-in, long-form, information-rich and entertaining, or people won't watch it. The ad agency responsible for the naked car guy may not get it right this time, but they should keep trying, because they're onto something. 1. I've spent many thousands of dollars on the Internet. 2. I've spent $0 on ads that showed up in the margins of my attention. 3. I've never intentionally clicked on one. 4. Mark Cuban: "My viewers are my customers." 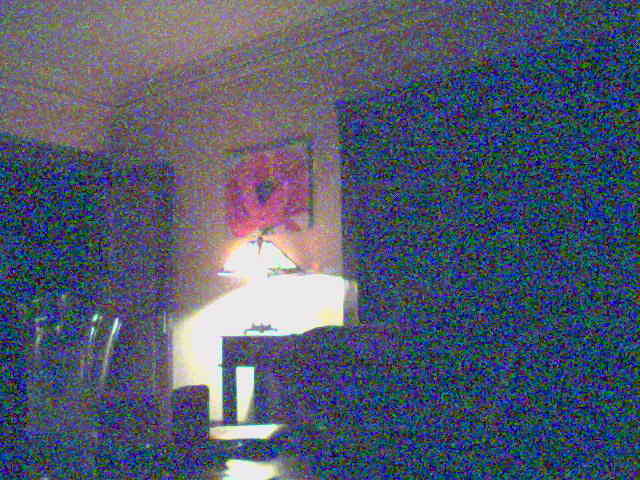 Last update: Sunday, April 22, 2007 at 9:02 PM Pacific.